Awarded two awards at our #SPconvocation! We are honored and proud to be recognized by our nationals for our hard work and accomplishments! We can’t wait to see how far we can go this upcoming year! We’re feelin' that jump vibe already. Recruitment Jump Day, a long standing OSU Greek Life tradition. Sigma Pi Fraternity was founded in 1897 at Vincennes University, in Vincennes, Indiana originally as Tau Phi Delta. 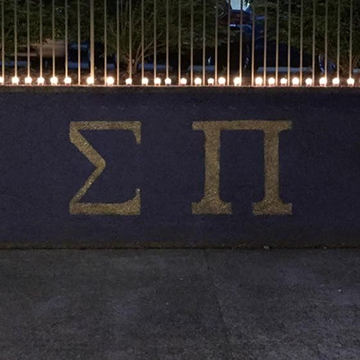 Welcome to Sigma Pi Fraternity at Oregon State University. We are a fraternity of gentlemen and the ideals of Sigma Pi are shaping each of us into the next generation of leaders. Sigma Pi men come from a wide variety of backgrounds and cultures and are bonded together by the brotherhood that is Sigma Pi Fraternity. The gentlemen of Sigma Pi are men of high character who share common values embraced by the chapter. Among our common values are Truth and Justice, Scholarship, Diversity, Chivalry, and Character. Our values and character are exhibited in everything that we do. We believe in developing well rounded men to be the next generation of leaders. Intramural sports, social events, formal events, campus groups and clubs, scholarship commitments, and brotherhood events are just a few examples of the involvement of Sigma Pi brothers. Sigma Pi supports the Amazing Day Foundation, dedicated to reducing suicide on our college campuses. 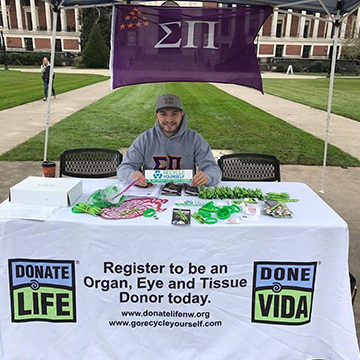 Sigma Pi partners with Donate Life America to encourage others to save lives through organ and tissue donation. 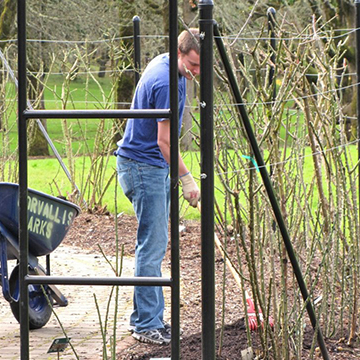 The Altruistic Campus Experience Project is a Sigma Pi program dedicated to giving back and improving our college campuses.